Bar Poker Open Huge Success! This past December, we had the exciting opportunity to be involved in an event that simply has never been done in the poker world. There is not many times that you can say, you were involved with something that will make it’s unique mark in the poker world. 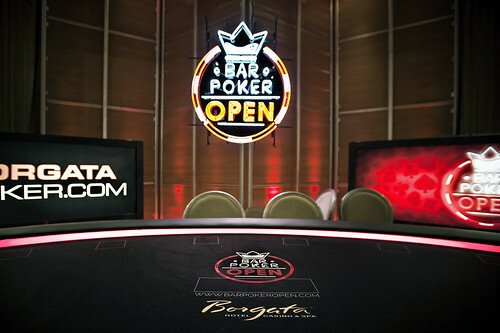 This event was the Bar Poker Open held at the Borgata on December 5 – 9, 2015. At the surface, we looked at the schedule, and it appeared to be an ordinary series of events with low buy-ins and decently aggressive with a strange event in the middle, this was the event we were called on to be a part of. It was called a Bar Poker National Championship and the buy-in was only $25 with a $40,000 guarantee. Now it doesn’t take a math genius to figure out they would need 4,000 people for the event to hit a guarantee and hopefully at least pay the dealers something, so why in the world would they do this? We quickly learned that this event was an invite only event and 15 bar poker leagues were all a part of it from as far north east as Massachusetts and as far south at North Carolina. The two leading leagues in charge, Eastern Poker Tour and Riverchasers leagues were actually underwriting the championship cost, in order to build an exciting prize and championship for bar poker leagues across the U.S. The only way to get into the National Championship event was to qualify through one of the 15 bar poker league affiliated with the Bar Poker Open. Their vision is to actually give bar poker players something to play for instead of just gift certificates or long shots at tournament seats worth $500 – $1,000. The championship event was also mixed in with 12 other open events for bar poker players and locals to play along side each-other for some massive prize pools and affordable guarantees. 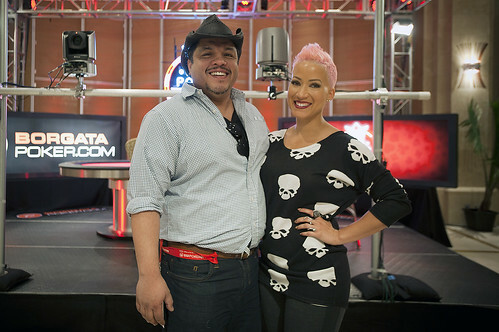 Gorilla Gaming was called on to build the final table and execute the live-streaming of the event . Our direction was to create a show stopping final table in the beautiful Signature Room of the Borgata. The table had to be comfortable for amateur players to play on, it had to be built with RFID antennas to allow for live-streaming, and had to give that wow factor to excite the players striving to reach the final table. The live-streaming task was one we are very familiar with. Our staff has been involved in live-streaming and televising dozens of events. Of course, the days of online poker underwriting shows is behind us (for now) so doing a full poker show with 5 camera angles, in full HD, within a budget was our the biggest challenge. The some bells and whistles were sacrificed for more utilitarian features, but at the end of the day, everyone was very happy with the final product! The players especially were all blown away by their experience! Take a look at the live-stream here. The entire series of events were amazing! The National Championship had 650 entries, much lower than the 4,000 they would have needed by my math, but I was assured that they never had plans of coming close to meeting the prize amount making the event a virtual free roll for the players who only had to pay what is normally a staffing fee on a nightly event. 1,500 players came in for the 5 day series filled with unique formats like the progressive bounty, tag team poker as well as the more standard formats with enormous guarantees. The event concluded with a player party on Monday filled with OPEN bar at the nicest clubs in Atlantic City. We met some great people, had a great time, and can’t wait to see what the Bar Poker Open has in store for all of us on December 2015.